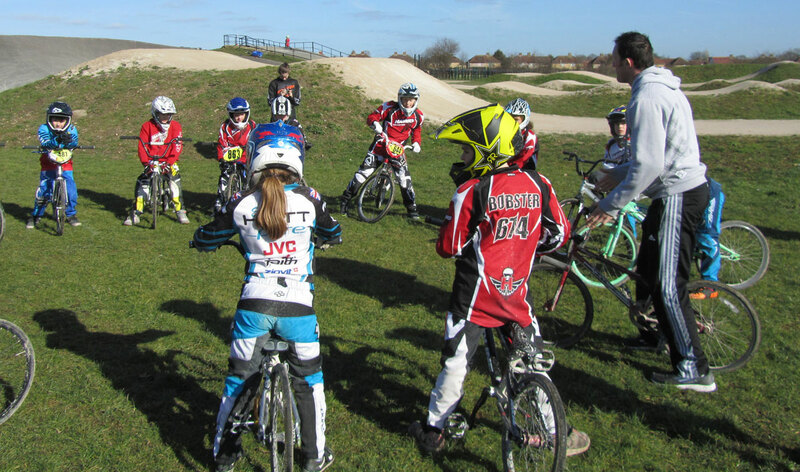 This BMX programme for schools can make a significant contribution to the personal development of children and young people. As well as contributing to the outcomes of the Every Child Matters Framework. 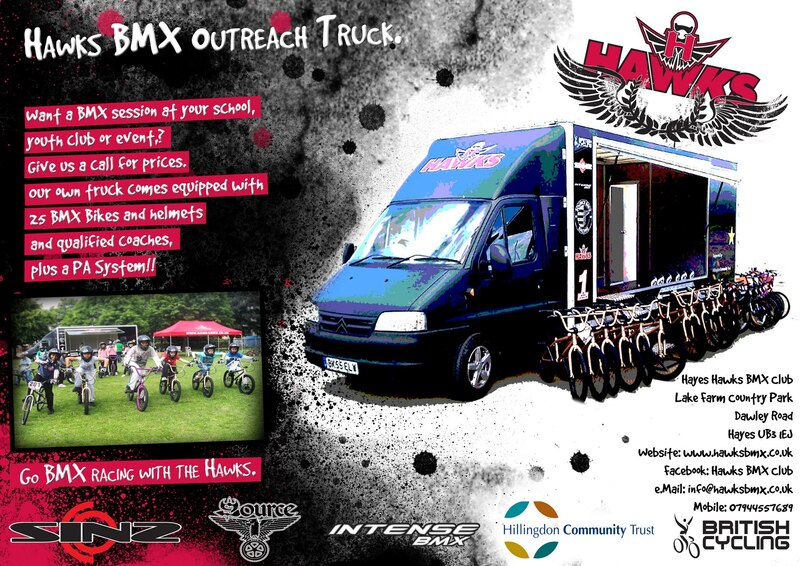 Participation in BMX through Hayes Hawks outreach truck will provide an enjoyable and high quality sporting experience. Riders will gain self confidence, self awareness, respect and team working skills amongst many other benefits. 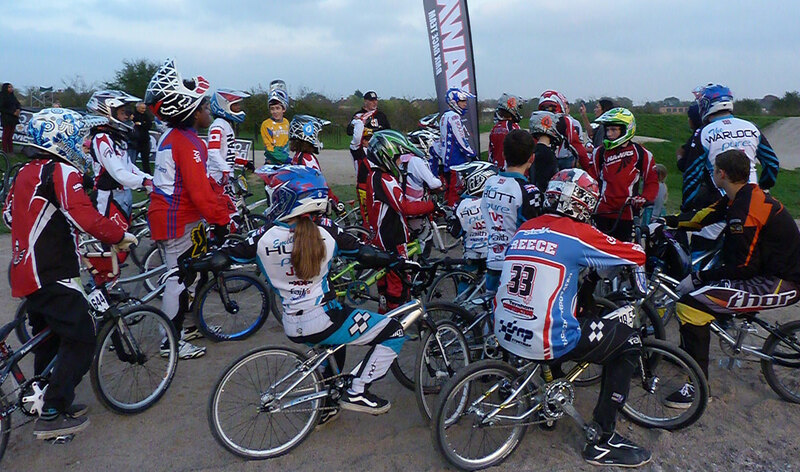 The basics of what we offer, is a BMX Racing taster session for up to 25-30 riders. 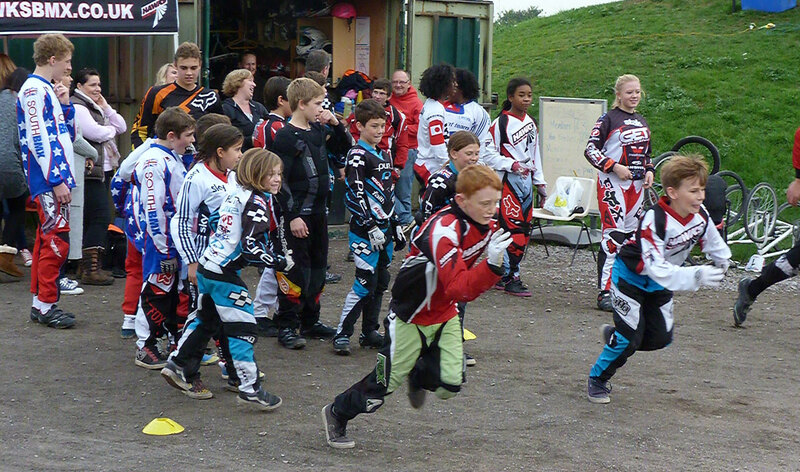 We start with basic skills coaching in how to ride a BMX bike, then work our way up with the group to have fun races.This is typically done on a flat grass field with a track laid out with cones, that has straights, corners and a finish line, to create the feel of a bmx race, but in a safe environment . 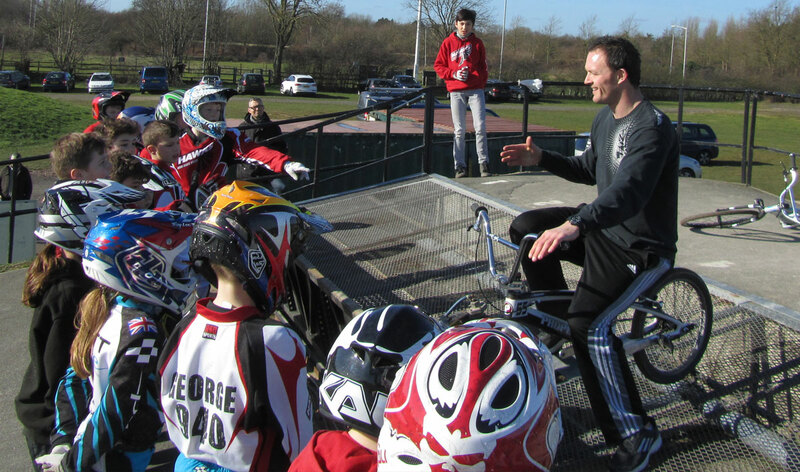 We also offer BMX Outreach sessions at BMX Tracks, with our Truck and equipment that comes with British Cycling qualified coaches. All the group has to do, is turn up dressed in suitable clothing (long sleeve tops and long trousers/jeans and soft soled trainers ). 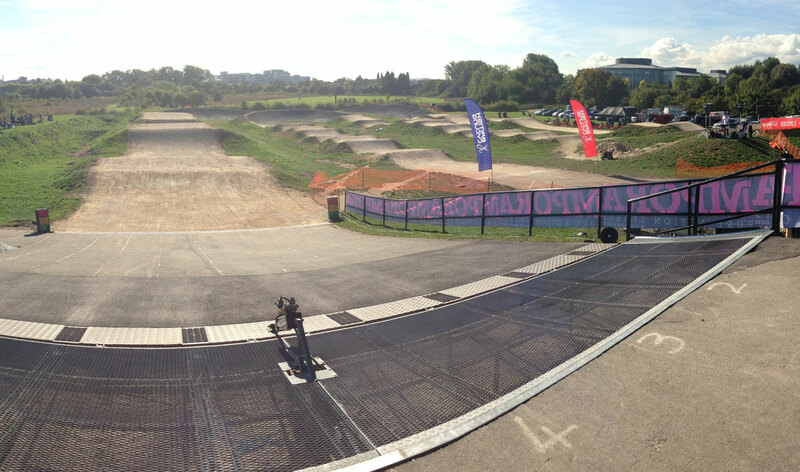 We can also offer half or full day sessions at the Hawks BMX Track at Lake Farm Country Park, Dawley Road, Hayes, UB3 1JD, If you want the full BMX racing experience for your group or school.